Its been a busy few months for co2balance as we close off our ESOS Energy Audit reports in time for the 5th December ESOS compliance deadline. This date marks the cut off for when participating organisations must declare that a Lead Assessor has calculated their total energy consumption and overseen an audit identifying cost effective energy savings for their operations. Organisations that havent done this by the 5th December risk a maximum penalty for non- compliance of £50,000. However the good news is its not too late to avoid this penalty; in a recent update, the Environment Agency have agreed to not enforce penalties on those organisations who notify them before the 5th of December that they have appointed a Lead Assessor and intend to register their compliance by the 29th January 2016. We expect to have a number of enquiries during this period and have set aside resources to help meet demand. So if you are an organisation with more than 250 employees – or have a turnover of at least €47 million and a balance sheet of €50 million, dont delay – appoint your Lead Assessor before the 5th December to avoid a penalty notice. Rehabilitation is the action taken to repair a borehole whose productivity has declined or that has failed completely through lack of monitoring and maintenance of the pump and/or well structure. Borehole rehabilitation usually involves so many aspects such as cleaning the capture section (pipes, pump), change of broken or rusted parts like the chain, pump head among others. Also chemical treatment like chlorination can be done with the help of competent technicians to dissolve the deposits on the pipes or strainers. Overhauling manual pumps and changing the submerged pumps that have broken down repeatedly or for long periods can also be done during the rehabilitation process. Co2balance in partnership with the local partner NGO Women Alliance And Children Affairs (WAACHA) has started works on the rehabilitation of 10 more boreholes that were added this year to be rehabilitated as part of its programme to provide more clean safe water in the remote areas of Kaliro District. The exercise kicked off on 16th & 17th November, 2015 with Nansohera DWD 239 and Kiganda B being the first boreholes to be rehabilitated. Completion of these 10 boreholes will bring the total number of rehabilitated boreholes by Co2balance in Kaliro District to 20. CO2balance has been quite busy working with companies across the UK to realise operational and cost efficiency energy savings under the Energy Saving Opportunity Scheme (ESOS), an EU wide energy efficiency directive. This week alone we have been conducting audits of businesses from a variety of sectors in Liverpool, Cardiff and London. In all cases our team has been able to identify cost-effective opportunities to make significant savings in both energy and expenditure, helping businesses to increase profits and become more competitive. With less than a month to go before the compliance date, we are busy compiling our findings and feeding back to companies that we have been working with on where the most significant improvements can be sought. Our collaborative approach will ensure that this scheme provides real business value as well as gaining compliance with new regulations. The government has estimated that the net benefit of the policy will be 1.6 billion over the next 15 years however our experience suggests that benefits could well exceed this. We look forward to working with our clients over the next ESOS phase, seeing many of the opportunities implemented and the savings realized. For information about our approach, contact us at enquires@co2balance.com. 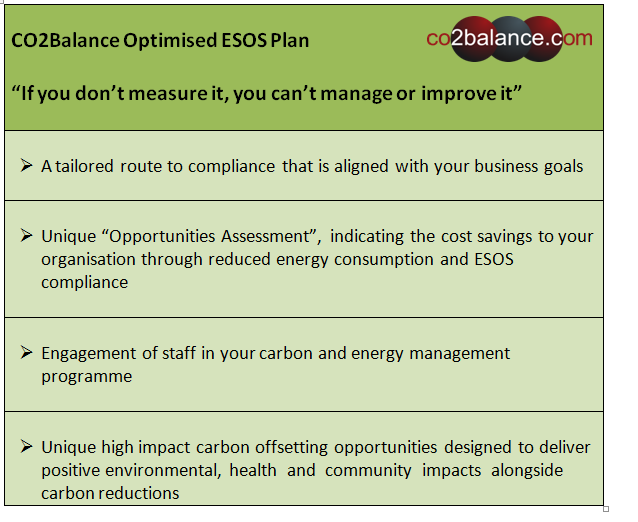 This blog has been compiled by Richard Stone, ESOS consultant at CO2balance. Making Better Use of My Free Time! Rural women largely contribute to agricultural and rural enterprises therefore driving local and global economy which in turn contributes to Sustainable development goals. However, persistent structural constraints such as lack of education and constant exposure to risks of violence hamper their full potential in growing economies around them. In rural areas, women are culturally assigned reproductive roles, housework, fuel collection and caring for children. A greater burden goes to firewood collection and fetching water therefore limiting women from employment opportunities. In the concept of mitigating climate change and structural constraints faced by women and girls in rural Kenya Co2balance has distributed 10,000 energy efficient cook stoves in Meru South. 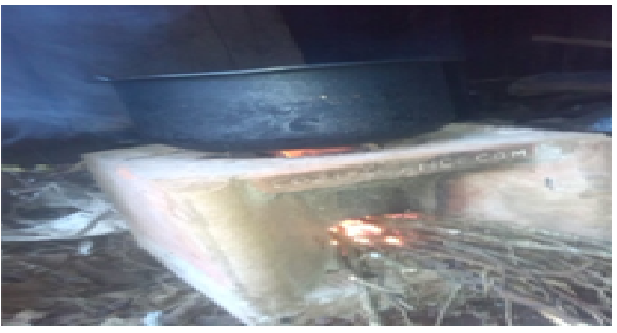 These cook stoves contribute to lesser use of wood as compared to traditional open fire cook stoves. This has greatly contributed to lessening the burden of wood collection by rural women in Meru South thus creating time for other household activities and establishment of Small Income generating activities in beneficiary. 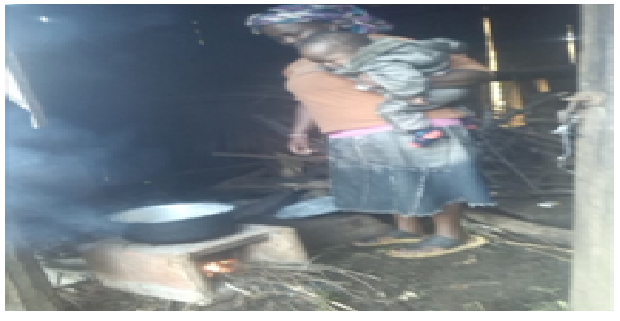 Agnes Kanini from Muiru Village Meru South is one of our case studies who has directly benefited from this cook stoves program. She applauds the program for helping change her lifestyle in the kitchen, financially and time management. Despite her lack of education which hinders her from securing a formal job, Agnes is able to save time from wood collection for mining activities near her home area. Though this casual job is short-term, more precarious and less protected it has contributed to an extra income complimenting her husband’s of income. Improvements in her home are noteworthy since she adopted the carbon zero stove. Agnes explains that firewood has become a rare commodity. She further says that the population in the area has increased in the last five years and the same has resulted to the pressure in the small forests available. In Her own words she says,“sasa hata tulikuwa tunashindwa miaka tano inayokuja kuni zitapatikana wapi, na msitu ni kama kilomita kumi; hii jiko imenisaidia kwa sababu tulikuwa tunatumia kama dakika thelathini kukata kuni za kupika siku moja. Ile ingine tulikuwa tunatumia zaidi ya masaa mawili” (“We were wondering where we are going to be collecting the firewood as the forest is ten kilometers from here; the carbon zero stove has helped me because we usually spend like 30 minutes to collect firewood compared to the three stone which we used to spend more than 2 hours”).